Gary Gygax (pronounced GHEE-Gax) was an insurance underwriter living in Lake Geneva, Wisconsin, in the late 1960s. He made his living calculating the probabilities that an individual seeking to buy insurance would become sick or disabled or die, and he used these estimates to set the premiums and payouts on the policies he reviewed. Every policy was like a roll of the dice: If Gygax calculated correctly, the individual received sufficient coverage at a fair price, and the insurance company had a good shot at earning a fair profit. If he was incorrect, either the individual or the insurance company would lose. In Gygax’s free time, he loved to roll dice of a different sort: He played war games in his home with fellow members of a club called the Lake Geneva Tactical Studies Association. There, on a giant table in the basement—just as war gamers had done since the invention of Kriegsspiel in the early 1800s—Gygax and his friends re-created famous battles such as Gettysburg or the D-day landings of World War II and fought them all over again in miniature, devoting countless hours to killing each other’s soldiers with one roll of the dice after another. Participating in these games could be a war of attrition in its own right: Mapping out the battlefield took time, and so did setting up dozens and dozens of miniature soldiers just as they would have been positioned in the real battle. War gamers prided themselves on historical accuracy, and this meant that while the main campaign was being fought across the tabletop, countless other battles raged around it as players bickered over one arcane historical point after another, often brandishing military histories and biographies as they argued. Add to this the fact that a single military campaign might drag on for months, with war gamers meeting every weekend in Gygax’s basement until final victory was achieved, and it’s easy to understand why the hobby was popular with only a limited number of people. Just as they had since the invention of Kriegsspiel, gamers were constantly writing new rules for existing games as well as inventing new ones. Gygax was no exception: In 1968 he took four pages of rules that a friend had written for a game set in the Middle Ages called Siege of Bodenberg and expanded them to 16 pages, creating a new game called Chainmail. 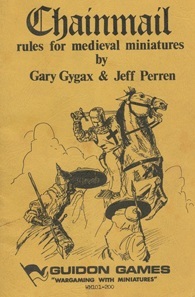 Each player still had a dozen or more plastic soldiers, but instead of each figure representing up to 20 men as had been standard in other games, Gygax had each figure represent only one soldier. Chainmail was an interesting departure from other war games, but after several weekends it started to get boring and attendance at the gaming sessions began to drop off. One afternoon Gygax decided to try something new: He grabbed a plastic dinosaur off a shelf and declared it to be a fire-breathing dragon. Then he took an oversized figure of a Viking warrior and said it was a giant. And then he created a wizard who could throw fireballs and lightning bolts and a “hero” character that had four times the strength of an ordinary character. This fantasy element alienated many of the most orthodox war gamers, but plenty of other people liked it—soon Gygax’s basement wasn’t big enough to hold all the players who wanted to play in his games. He wrote a fantasy supplement to the standard Chainmail rules and published it in 1971. Armies turn into single characters. Chainmail had been a game of combat, with the soldiers controlled by one “general” attacking some strategic point held by monsters or another player’s soldiers. But Arneson’s players got tired of just tackling one military objective after another, so in Blackmoor he got rid of the large armies and had each player assume the identity of a single character. The players rolled dice to determine their characters’ attributes: strength, wisdom, charisma, etc. Then the characters went on decidedly nonmilitary missions, such as sneaking past monsters to steal their treasure or other valuable items that they could sell on the black market. Again, the players rolled dice during each encounter to determine whether or not the mission was successful. The birth of role-playing. Placing the emphasis on a single character caused players to identify with their characters in a way that they hadn’t when they were commanding legions of troops. They gave the characters names, invented personalities, and even began to imagine themselves in the role. The players became so attached to their characters that they didn’t want them to die, certainly not during a game—not even after it ended. Die hards. Arneson responded by revising the rules of Black-moor to make the characters harder to kill. In Chainmail, a single roll of the dice determined whether a player died in combat. This made sense when there were dozens of soldiers on the board and the action had to be quick, but it didn’t when each player had only one character—and one life. So Arneson took an idea from Ironclads, a Civil War naval game he’d written. In that game, he used “hit points” to determine how much damage a warship received from cannon fire. It took numerous hits to sink a warship, and the stronger its armor, the more hits were needed. Arneson applied the same concept to the characters in Black-moor. It would take many successful rolls of the dice to accumulate enough hit points to kill a character; if the character was wearing armor, he was even harder to kill. And since each player had only one character instead of dozens, it was easy to keep track of the hit points. You’ve been promoted. Arneson also allowed characters to advance to higher levels after surviving difficult ordeals. The characters grew in strength, wisdom, and other qualities, just like human beings. When one game ended, they carried their points over to the next game. After a few weeks of playing scenarios in conventional landscapes, Arneson decided to try something different. When his players showed up to play the next session, he told them they were going “underground,” into the dungeon of an old castle. Not only was it an interesting change of pace from the usual outdoor scenario, but Arneson also found that it was easier to draw a finite number of tunnels and rooms than it was to map out an entire countryside. Moving the action to subterranean tunnels also limited the avenues of escape—instead of scattering in every direction in a “crisis,” the players pretty much had to face whatever Arneson threw at them. In the process of inserting all of these interesting elements into the game, Arneson also removed many of the annoying elements of traditional war games. Limited numbers of characters and simplified play reduced the setup time to almost nothing and sped up the pace of the action dramatically. Debates over arcane historical points came to an end—how can you argue about the historical accuracy of stealing gold from a troll? The role of the game’s host—or “umpire,” to use a word from Kriegsspiel—expanded significantly. He was no longer just a referee responsible for interpreting the rulebook during reenactments of historical battles. The host became the creative master of the game as well, part storyteller, part guide, responsible for designing the dungeon and filling it with monsters and treasures to the limit of his own imagination. He became the Dungeon Master. After more than six months of developing Blackmoor, in late 1971 Arneson and some friends took the game to Gary Gygax’s house in Lake Geneva and hosted a game in which the players tried to sneak into Castle Blackmoor to open a gate from inside. Gygax was impressed with Blackmoor and especially liked the dungeon idea—as a kid, he had often played hooky from school to wander the tunnels beneath an abandoned sanatorium overlooking Lake Geneva. He sensed that, with more organization and development, Blackmoor might have commercial potential. As much fun as Dave Arneson’s game—Blackmoor—was to play, it still wasn’t very organized. It would have been difficult for new players to learn to play such a complicated and innovative game, let alone host their own sessions without Arneson there to explain everything. It took Gary Gygax’s organizational skill to boil the game down to a coherent set of rules that anyone could follow—complete with lists of monsters, character types (such as fighters, clerics, wizards), weapons, spells, and so on. But what rules! Gygax’s first draft was 50 pages long. After sending it out to a few dozen gamers for their input, he revised and expanded it to the 150-page version that became the first commercial edition of the game. It was at about this time that Gygax finally found a solution to a problem with dice games that had annoyed him for years: When two six-sided dice are rolled together, the odds of getting a 6, 7, or 8 are much greater than the odds of rolling a 2 or a 12. Gygax wanted the odds of getting each number to be the same. In the past, he had accomplished this by having players draw numbered poker chips from a hat. But pulling poker chips out of a hat was a bit clunky for a game that was going to be sold to the public. Gygax found his solution while flipping through a school supply catalog. The common six-sided die is a regular polyhedron—a solid figure with identically shaped and sized sides (in this case, a cube with six sides). When he found 4-, 8-, 12-, and 20-sided regular polyhedrons in the catalog, he decided to use them as dice along with the conventional six-sided dice. (Dungeons & Dragons also uses 10-sided dice, but they’re not regular polyhedrons). 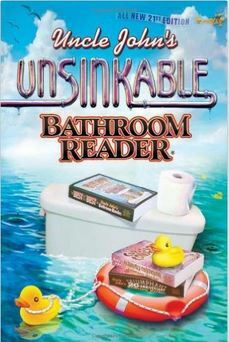 Finding a publisher turned out to be a lot more difficult than picking a title. When Gygax pitched Dungeons & Dragons to Avalon Hill, the biggest publisher of war games in the United States, they didn’t know what to make of it. A game with no opponents? No real winners and losers? No definitive ending? And what about all those weird dice? Dungeons & Dragons had strayed so far from its military origins that executives at Avalon Hill didn’t even recognize the game, let alone understand it. They passed. Dungeons & Dragons caught on with college students first. It spread from school to school by word of mouth—it had to spread that way, because after printing the game, TSR didn’t have any money left to spend on marketing or publicity. Then it began to trickle down to high school and junior high school students, as the college kids came home and taught the game to their younger siblings. The first printing of 1,000 copies sold out in just seven months. When another 5,300 sold in less than a year, TSR ordered another 25,000—this at a time when Avalon Hill’s best-selling game ever had sold only 10,000 copies. As impressive as these sales figures were, they represented only a fraction of the total number of people who were playing the game. Bootleg photocopies of Dungeons & Dragons outnumbered official copies by as much as two to one in the early years. While this would have been a problem with other games, TSR didn’t mind, because these bootleg dungeon masters were introducing thousands of new players to the games. Many would go on to buy legitimate copies of their own. By 1979 TSR was selling more than $4 million (about $13 million today) worth of games, dice, and other Dungeons & Dragons accessories a year, and sales were predicted to nearly double over the next 12 months. Then in August of 1979, a troubled Michigan State University student named James Dallas Egbert III disappeared into the steam tunnels underneath the school and was not seen again for weeks. Egbert was a Dungeons & Dragons fan, and rumors began to circulate that he’d gone into the tunnels to have a real-life dungeon experience. He was either still down there living out his fantasy, the story went, or had gotten lost or killed trying to find his way back to the surface. The truth was more tragic: Egbert was struggling with depression and drug addiction, and he had gone into the tunnels to kill himself with an overdose of sleeping pills. When his attempt failed, he left the tunnels and hid out at a friend’s apartment for about a month before letting the police know he was OK.
Egbert’s disappearance had nothing to do with Dungeons & Dragons, but no one knew this until he reappeared. During the weeks he was missing, his story provided journalists with a tantalizing hook into the game fad that was sweeping the country. Religious groups had warned from the start that any game that featured as many demons and magic spells as this one did had to be the work of the devil, and now with Egbert’s disappearance their claims found a national audience. Gygax was dumbfounded by their accusations. The spells and demons in the game were as imaginary as the gold and treasure. And to demonstrate the absurdity of his critics’ claims, Gygax invited them to try to deposit the loot in their bank accounts. As silly as the controversy was, it dragged on year after year. In 1982 Egbert’s story was dramatized in a fictionalized TV-movie called Mazes and Monsters, starring 26-year-old Tom Hanks. In 1983 a woman who blamed her son’s suicide on a curse he “received” while playing the game formed an organization called Bothered About Dungeons & Dragons (B.A.D.D.) and spent more than a decade leading a moral crusade against the game. Even 60 Minutes got in on the act, airing a story in 1985 that questioned whether the game had driven some players to suicide. But if Gygax worried about the impact of the controversy on the game’s sales and popularity, he needn’t have. The media attention actually boosted sales: Instead of doubling in 1979 as they’d forecast, sales quadrupled to more than $16 million and kept right on growing after that, finally peaking at $29 million in 1985 (about $64 million today). Ironically, though they had invented the first modern role-playing game, by the mid-1980s both Gygax’s and Arneson’s own roles had ended. They were no longer involved with TSR and did not participate in the further development of their game. When Gygax’s business partner and childhood friend Don Kaye died suddenly in 1975, Gygax had to bring in outside investors to raise the money he needed to buy out Kaye’s widow. In the process, his stake in the company dropped to 35%; then in 1979 the other investors seized effective control of the company, relegating Gygax to a figurehead position where he had very little say over the running of the company. By 1985, the year that revenues peaked at $29 million, the company had become so bloated and mismanaged that it was actually losing about $3 million a year. That year, after Gygax lost a second power struggle, he sold his shares in TSR and severed all ties with the company. After ending his involvement with Dungeons & Dragons, Gygax dabbled in fantasy fiction writing and other projects. He even developed another role-playing game, called Lejendary Adventure, which went on sale in 1999. 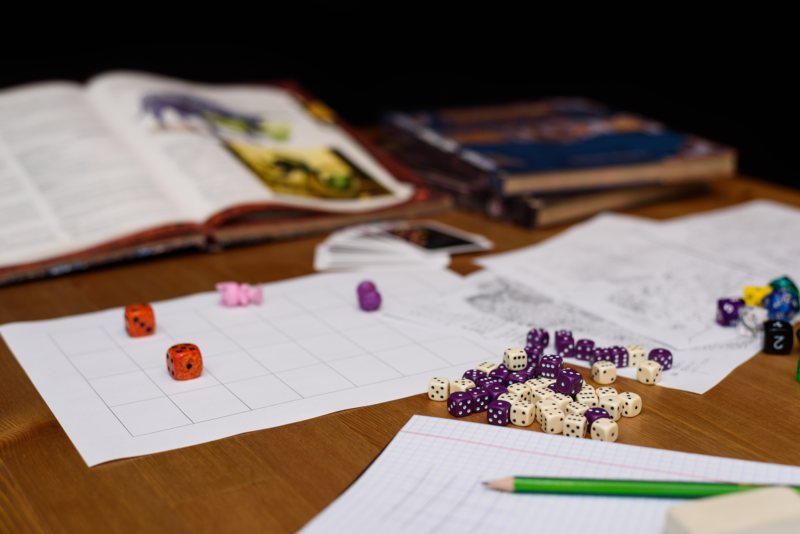 Although the game developed a loyal following, it never approached the popularity of Dungeons & Dragons. After years of declining health, Gygax died in 2008 at the age of 69. As for the game he helped create, more than 40 years after it was introduced, Dungeons & Dragons remains the best-selling pen-and-paper, or “tabletop,” role playing game of all time, with several million people still playing it every year. You might think that Gygax was inspired by The Lord of the Rings, J. R. R. Tolkien’s enormously popular fantasy novels. While the books no doubt helped the success of Dungeons & Dragons, Gygax hated them. “I’d like to throttle that Frodo,” he once said.